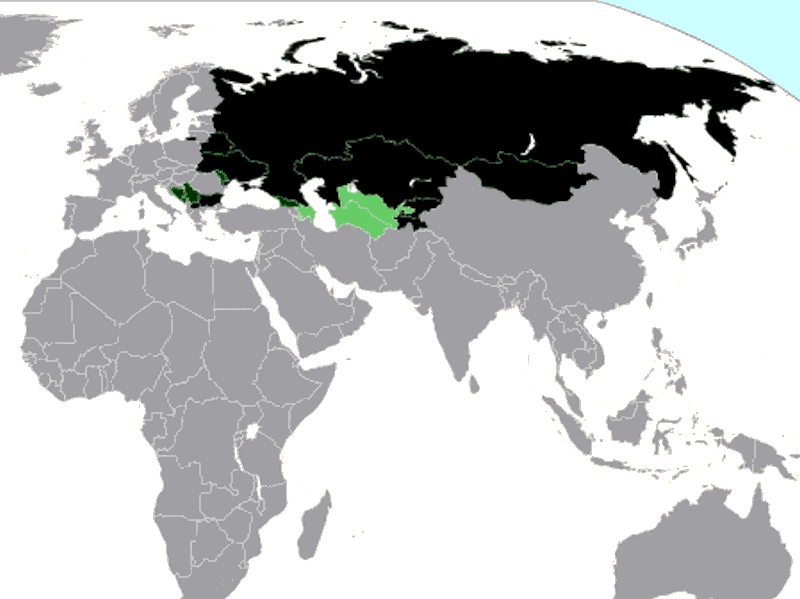 Have you ever wondered why the alphabet for Russian is not called Russian, but rather Cyrillic? Well, that is because it is named after a missionary name Cyril who died on February 14 in the year 869. In 862 Cyril and his brother Methodius moved from Rome to Moravia to evangelize. They were not the first missionaries to Moravia. But, they are the most remembered because they did things differently. They wanted worship and preaching in the language of the people, instead of Latin. Some in the church opposed that. They wanted everyone to learn and use Latin because that was the language of unity, education and progress. But Cyril and his brother were not deterred, but they did run into a problem – the language had never been written. Cyril set out to produce an alphabet that suited the language. He did not finish, but those working with him did. That alphabet fit the language really well. In fact, it fit other Slavic languages as well. It was later modified to become the Cyrillic script which is still used in many Slavic languages, including Russian. 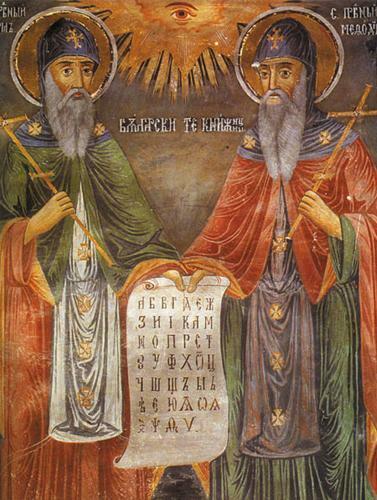 Eventually the objections to the use of the local language were overcome and the liturgy Cyril and Methodius developed was formally authorized for use in the churches. Cyril died in Rome on February 4, 869, but he and his brother are still celebrated every year on May 11 in Bulgaria. That celebration includes spelling bees. Cyril was one of the first in what has become an important, if unnoticed, contribution of missionaries. Did you know that missionaries developed the alphabets of most of the languages in the world? But Cyrillic might be the only one named after a missionary. Writing is probably the most foundational element of learning and transformation, and Christians have promoted it for all languages, even in places where others have opposed it. The benefits are so pervasive that it seems unjust to call the development of an alphabet a “by-product” of Bible translation. Let’s not forget that Cyril’s alphabet documented the discoveries and engineering of a successful space program. It is ironic that the Cyrillic Script, having been developed by a missionary was then used as a tool for an atheist political philosophy, Soviet communism. But that did not last, of course, and Bibles printed using the Cyril’s alphabet now flow freely throughout Russia and other Slavic countries. About 70% of the worlds living languages have alphabets, most developed by missionaries working in the tradition of Cyril. But there are still about 1900 languages without an alphabet. It looks like people motivated by Christian faith will develop alphabets for those in the coming two or three decades. Time is running out for anyone with Cyril’s holy ambition. This entry was posted in Linguistics, Translation history and tagged Cyril, Cyrillic, Cyrillic Script. Bookmark the permalink.